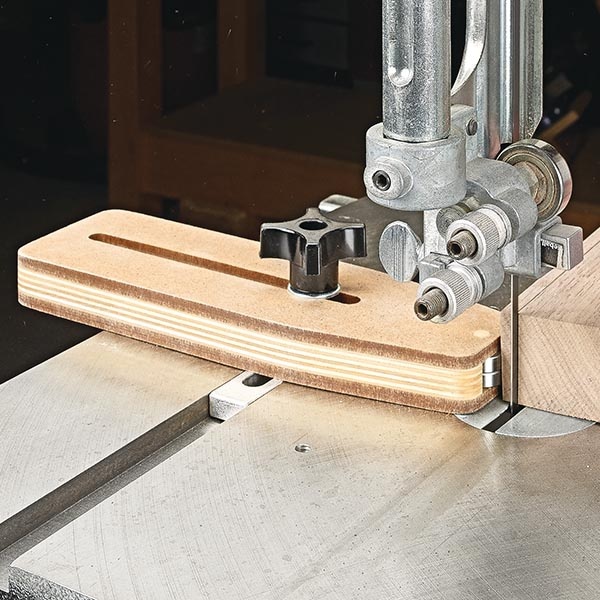 It works great as a stop for ripping thin strips or to help keep a workpiece against a rip fence. Switch out the miter slot hardware for a flange bolt and it can be used as a hold-down when attached to a fence with T-track. It’s just a piece of plywood sandwiched between a couple layers of hardboard. I glued oversized pieces together, then cut and sanded them to shape after the glue dried. I drilled the ends of the slot next and used a jig saw to remove the waste. A file and sandpaper helped smooth the cut lines. Now you can add the bearings. 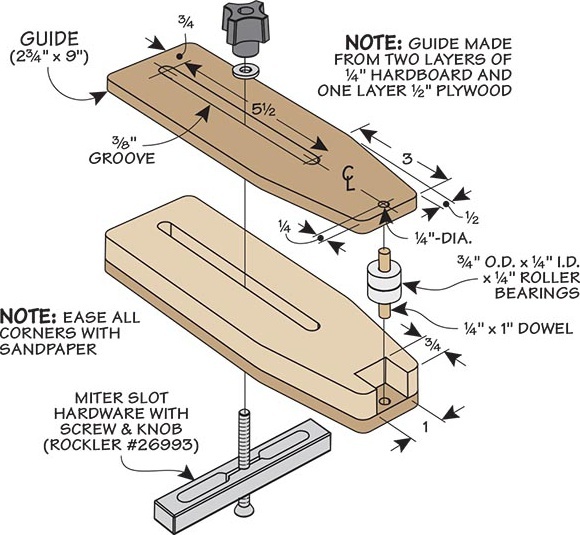 Just insert a short length of dowel into a hole drilled in the end of the guide.